Brew Ville is excited to announce that we have more Bob Marley K-cups in-store for your tasting pleasure!! 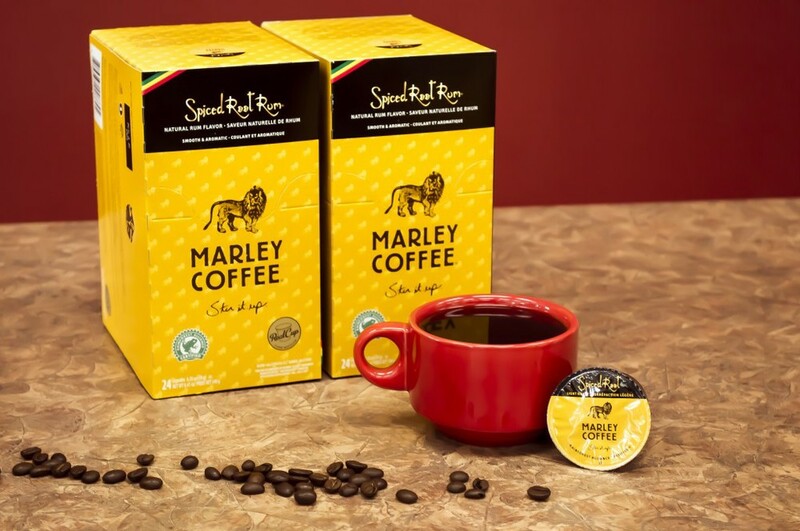 Marley Coffee was ranked “The Undisputed BEST BRAND” in their category less than a year ago by SingleServeCoffee.com. You can check out the entire review HERE. The three new flavours we have are: Spiced Root Rum: "Inspired by Rohan Marley’s carefully aged Jamaican rum, Spiced Root clearly delivers the reggae spirit our beloved homeland is famous for. Featuring 100% Rainforest Alliance Certified™ coffee, the resulting blend inundates the palate delivering a premium coffee experience benefitting even the most knowledgeable connoisseur." 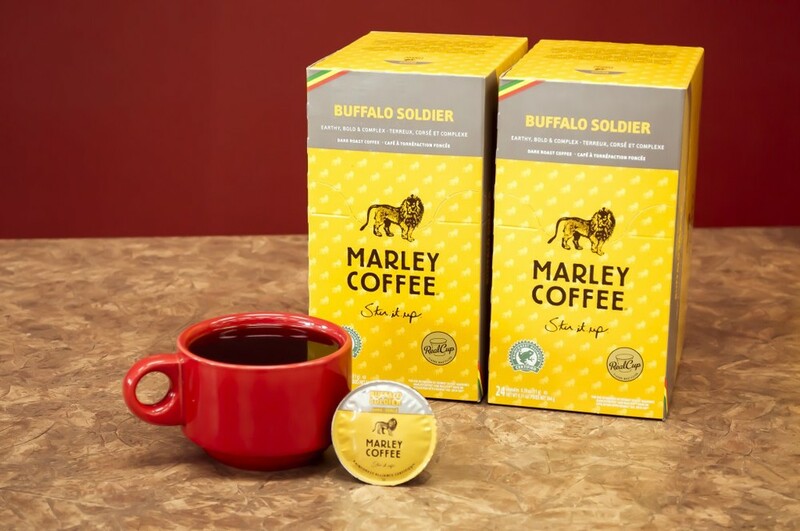 Buffalo Soldier: "Roasted sweet, this earthy blend of 100% Rainforest Alliance Certified™ beans is sultry, smoky and deliciously smooth. Its dark chocolate and berry undertones leave a deep, rich, lingering finish that will help you get through those “fighting for survival” days." 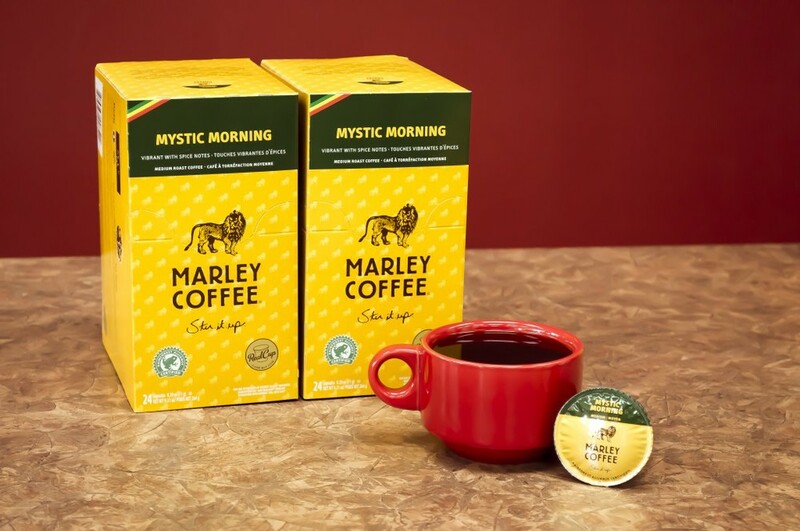 Mystic Morning: "this vibrant and fun, medium bodied coffee made from 100% Rainforest Alliance Certified™ beans boasts cocoa, citrus and spice notes, along with a sparkling acidity that will straighten out your tomorrow, today." 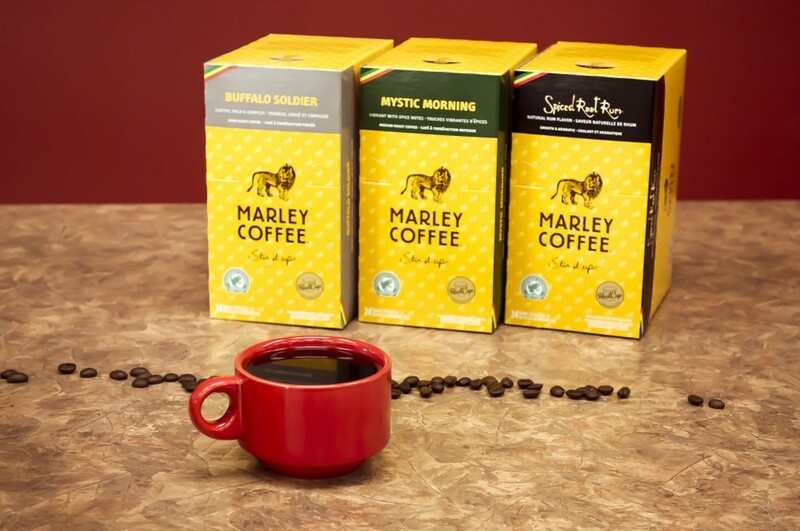 Don't forget that Brew Ville also carries four other flavours by Marley Coffee: Get up, Stand up(1), One Love(2), Lively up! (3) and Jamaica Blue Mountain(4).